Palm is a robust & functional seating range suitable for many environments. 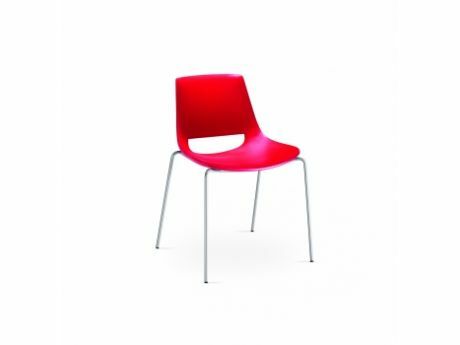 The shell in polyethylene comes in a selection of mutd and bright colours but is also available fully upholstered in a wide selection of fabrics, leather or faux leather. Base options include four legs, sled, 4-star swivel or castor base & 5-star base. Colour range includesBlack, white, silver grey, sand, red & more. Fabrics, leathers & faux leathers in a wide selection.